The app is also getting stickers inspired by the show. Google is trying hard to get folks using its AI-gifted Allo messenger service, so it has jumped on a popular Netflix show. It has revealed some Stranger Things tie-ins for Halloween, including a sticker pack and an AI-assisted scavenger hunt. If you're in New York City today (October 28th) and want to participate, you just ask Google Assistant "Where is Barb," a reference to the character who just kind of ... disappeared from the show. That'll reveal the first location (Lafayette & Grand in Soho) where you'll see a sticker wall instructing you to "use your powers" in Allo, Google says. Your AI sidekick will then tell you where to find a "mind-control vending machine" by dropping a so-called suggestion chip that you tap, directing you to a new, undisclosed Google Maps location. With some luck, you can claim a prize like a BMX bike, Pentax camera or a Panasonic boombox. 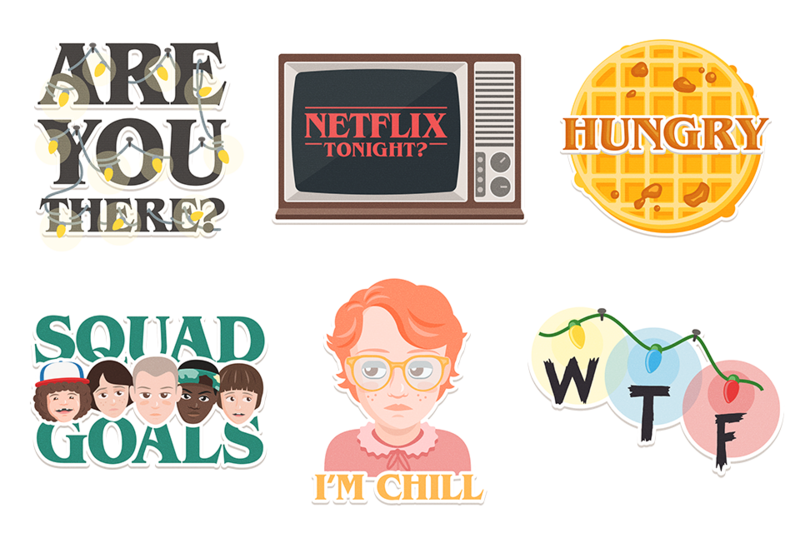 You can also download a Stranger Things sticker pack with artwork inspired by the show (above). Google is no doubt hoping like hell that all of this will entice you to try the app, since a lot of folks are probably unaware that it even exists. As a reminder, it's a messaging service with a built-in conversational "Assistant" bot that can give you information whether you're chatting with it directly or in a conversation with pals. For example, it can give you advice on restaurants, movies, the weather and more. The company does have some actual news about the app besides the PR-inspired stickers and treasure hunt. You're now able to reply to messages directly from your notifications, saving you the trouble of going into the app. Google also added new Android N features, including a split-screen mode and app shortcuts. iOS users, meanwhile, can doodle on photos before sharing them with friends.